Edward Powell Pump and Well Drilling is proud to maintain excellent working relationships with several realtors in Delaware County and Chester County. We are privileged to have the opportunity to provide our realtors and their clients with thorough well inspections and water testing, which helps them easily navigate the negotiations of selling or buying a home with a well. We were recently invited by Coldwell Banker Preferred to sponsor their Annual Appreciation Party, which also benefited the “Unite for Her” Charity (www.uniteforher.com) It was an honor to donate our time and resources to such a great cause! 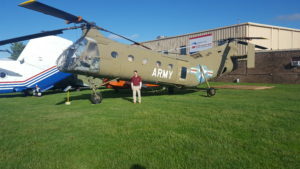 The benefit was held at the Helicopter Museum in West Chester, PA. We had a great time!